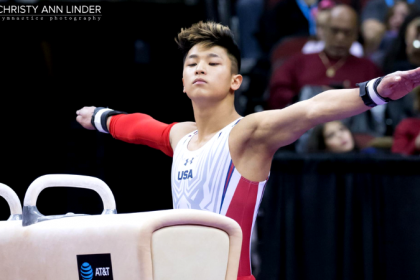 USAG competition has come to a close for the 2019 season, and while we’re pretty bummed about that, yesterday’s event finals were absolutely top-notch. USAG nationals is always one of the leading feel-good meets of the year, and the upgrades, tears and plentiful ties we got to enjoy in the final day of competition reminded us why we love this division so much—and why we wish NCAA and NCGA nationals would reintroduce event finals. This was the only day of the championship that used four judges per event. On vault, all four scores were averaged, while on the other three events the average of the middle two scores was used. Gymnasts competed one at a time, with vault and beam alternating to start the day and bars and floor following. UIC’s Kayla Baddeley cruised to the vault title, marking the first and likely last USAG national title in the Flames’ history. The vault final was the least exciting of the quartet, with almost every qualifier competing a Yurchenko full and most of those looking remarkably similar. Baddeley had the cleanest block of the group and a fairly controlled landing, while others had slightly larger hops or direction issues. Darian Burns of Seattle Pacific and Anna Salamone from Air Force, both juniors, rounded out the podium. The only major incident of the final was a fall from Heidi Sand in the final spot. She seemed to get lost in the air on her Yurchenko full and landed painfully on her side, but was luckily able to walk away. The bars final featured some of the most beautiful gymnastics of the weekend. Brown freshman Mei Li Costa has been a star all season, tying for second in qualifying and then cruising to her maiden USAG title with a 9.850 that many felt was too low for the routine she showed. Anna Salamone of Air Force will add a share of the national title to her already-impressive trophy case after sticking her full-twisting double back dismount cold. Team final heroine Katie Bailey tied for bronze with UIC’s bars stalwart Serena Baker while No. 1 qualifier Kathryn Doran from the home team came up just short of the medals after a hop on her dismount. Defending champion Jessica Wang underrotated her dismount and came close to putting a knee down in the first routine of the final, ending her stellar career at Yale on a disappointing note. UIC junior Toni Alicke scored a 9.750 in what is most likely the Flames’ final routine. After a slightly shaky qualifying meet, Cornell only earned two event final berths but made good use of them. Senior Kaitlin Green matched her own school record of 9.900 to close her career out with a win that features among the most visually spectacular meets of the weekend. SEMO freshman Anna Kaziska just keeps improving, earning second place with her gorgeous technique. There was a three-way tie for third place, as Lindenwood’s beam team picked up one final accolade for 2019 in Ryan Henry; Kayla Baddeley completed a great 9.850 beam routine at exactly the same time as the results were tabulated confirming that she would be the national vault champion, and Centenary senior Navia Jordan was recognized for her always-sublime technique. Air Force’s Tyler Davis brought the house down for one last time this season, matching her career high of 9.950 to easily walk away with the title. Her performance quality made her a favorite with the crowd in Bridgeport, as well as with athletes from other teams, who cheered for her every time she competed this routine. She was followed by a four-way tie for second that included MIC freshman superstars Alisa Sheremeta and Anna Kaziska, both of whom have made an incredible impact on floor in their first year. 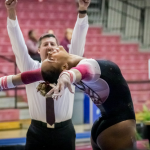 All around champion Darian Burns earned her third podium finish of the weekend and the final USAG podium result in SPU head coach Laurel Tindall’s decorated career. 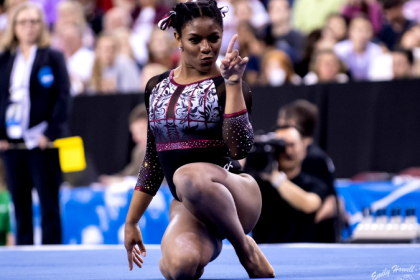 Finally, Navia Jordan, the only event final representative from Division III Centenary College, rounded out her own career and proved that the world really is a good place by picking up her second individual medal with a typically stunning floor routine. As absolutely incredible as the podium on floor was, the story of the final might have been an athlete who didn’t medal. Bridgeport’s Maya Reimers typically opens her floor routine with a spectacular tuck full-in. 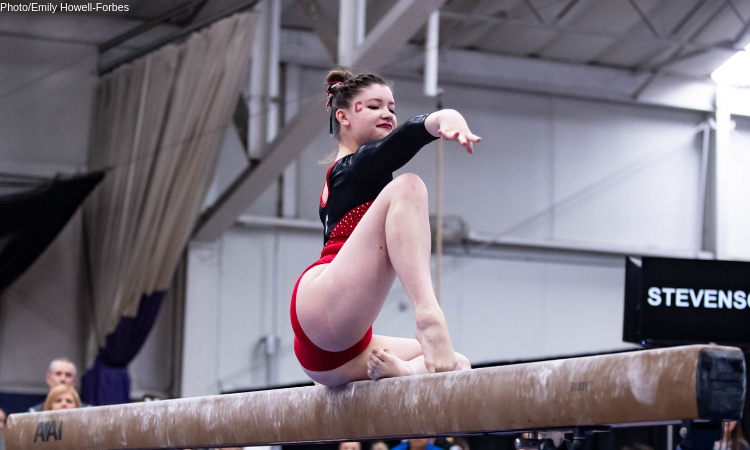 Earlier in 2019, she experimented with competing both the full-in and a brand new double layout, becoming the first Bridgeport gymnast to do two E passes in a routine in the process. Ultimately, the routine was too difficult to be consistent in competition—but it was so special to see Reimers open her event final routine with the beautiful and sky-high double layout, even if the landing was imperfect. If this weekend wasn’t exciting enough for you, we’re only four days away from the NCAA National Championships in Fort Worth! 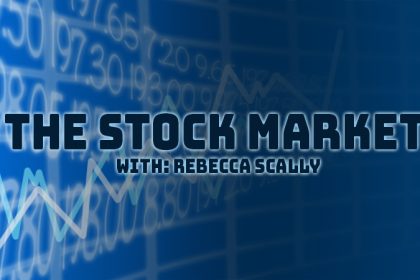 Keep an eye out for previews and analysis throughout the week, and extensive live coverage of the competition as well.